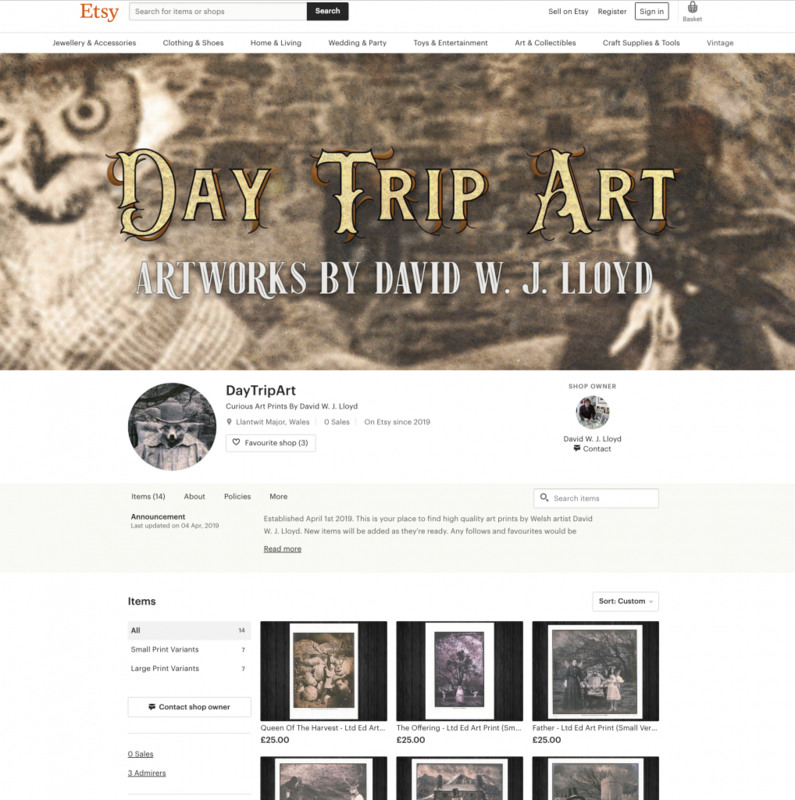 I’m pleased to announce that the Day Trip Art Etsy Store is now open, featuring a small selection of Giclée Prints that I will handmake for anyone who’d like to purchase one. It’s been a while since I started planning this out, and took a lot of work and research to get it up and running. If you’d like to take a look, you can visit my store here. In time I will be adding completed pieces, and original one offs, but for now theres some lovely limited edition prints available to buy. They will be made and signed and posted all by little old me, so handled with love and attention!